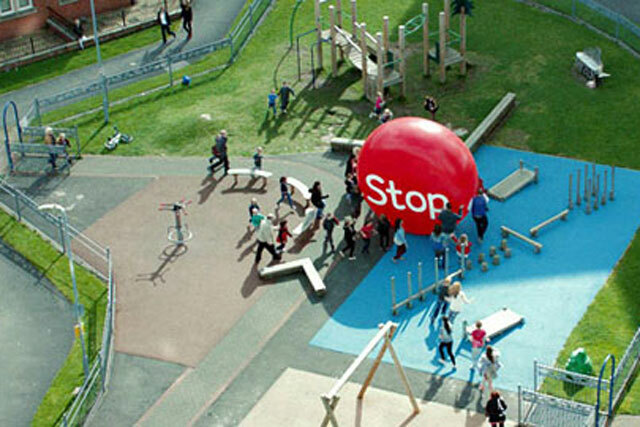 The Department of Health's Stoptober campaign by Dare was the most creative ad tested by the Radio Advertising Bureau in the second half of 2012, while the overall creative scores improved by more than 3% year on year. The Stoptober campaign, created by Dare with media by M4C, encouraged people to give up smoking in October and beat 29 other brands tested by the RAB’s RadioGauge tool, to be named the most creative ad. An ad by CHI & Partners for British Gas came second, while a Fairy Liquid ad by Grey came in third. Commercial radio groups fund RadioGauge, which tests brands' radio ad campaigns for free, measuring their creativity against 11 statements linked to the RAB’s five "Is" (Involvement, Identity, Impression, Information and Integration). Simon Redican, the managing director at the RAB, said the improved creative scores and improved UK performance in awards such as Cannes and D&AD was evidence that the RAB’s campaign to improve creative standards on radio was "bearing fruit". Redican said: "Additionally, our Top 20 advertisers increased their investment 29% year on year in 2012, according to Nielsen, which suggests a strategic commitment to the medium, another vital ingredient in ensuring strong creative performance." RadioGauge also tests campaigns for brand awareness and consideration by measuring the difference between people who listen to commercial radio, and people who do not, at the end of a campaign, but keeps the scores confidential. The RAB partnered with the D&AD creative charity in November 2011 to launch a programme dedicated to improving creativity in radio advertising in the UK. The Stoptober campaign successfully avoids sounding like the Government preaching to the masses by using real people to deliver their message on the radio. By focusing on the positives of giving up smoking (backed with catchy, whistle-along music) and following these people’s stories in different executions across the campaign helped listeners to connect and empathise with those attempting to participate in Stoptober. Who are you going to call when you’ve got a problem that needs fixing? No, not 'Ghostbusters' but the British Gas Team. They may not be able to help you get rid of ‘Gozer the Gozerian’ but by the sound of it they can do pretty much everything else. Using the ‘A Team’ music (a breakaway from their established creative construct), British Gas has created an ad that successfully involves and informs the listener to achieve cut-through for a service that they may have previously been overlooked. As the nineties TV programme attested, kids can say the funniest things – like the time I once mispronounced Prix when trying to tell my parents that the Formula 1 was on the TV. Leaving my innocent mistakes aside, parent and child conversations can often bring out the weird, wonderful and inquisitive thoughts whirring around inside a child’s mind. Fairy has successfully mined this territory to appeal directly to parents and remind them exactly why they should always be picking Fairy Liquid off the shelf. A soothing voiceover coupled with their established use of Charlene Soraia’s cover of 'The Calling' help bring to life the sensual side of a cup of Twinings tea, delivering a temporary haven away from the morning rush. A superb example of a campaign that achieves strong cut through in the ad break, whilst also tonally portraying the brand in exactly the right light. Millions of people cannot function until they’ve had that first cup of tea of the day (the daily rush to the kettles in the RAB office attests to this). In contrast to the sensuality of Twinings, PG Tips explores this different perspective on the tea-drinking experience by bringing it perfectly to life with an added touch of humour provided by Johnny Vegas and Monkey. Lloyds TSB has done it once again. On this occasion, Matthew Rhys takes over the voiceover duties from Julie Walters when it comes to business, but the music and the slogan ensure you know exactly who it is and what they have to offer. As our MD Simon Redican recently highlighted, 2012 was a year of growth on radio for grocery retailers as they came to realise radio’s strength at reaching shoppers with their latest deals and offerings (a strength underlined previously in a blog by our insight manager Aaron Pull). In a competitive environment, people want to know which supermarket is going to offer them the best value above others. A simple message from cheery ASDA employees David and Dawn – about saving on those ‘everyday essentials’ that we all need – does just that. David Morrissey adopts a softer and friendlier tone than his current turn as ‘The Governor’ on TV’s ‘The Walking Dead’ to introduce the familiar problem faced by drivers around the country: getting the car started on cold mornings. Then he gives them the solution courtesy of RAC. Using radio as a way of reaching drivers in car and integrating the creative execution with the TV campaign has worked well for RAC during these cold winter months. Radio is often seen as the medium for tactical campaigns and gets sidelined when briefs for branding campaigns come to the table. John West demonstrates how this is a huge oversight and that radio can successfully tell brand stories. With a little bit of tongue-in-cheek humour, the story of Felix the fisherman shows that tuna can be a lot more entertaining than you think! Everyone has their list of fantasy post-Lottery win purchases. For some it’s a big house, a flashy car, and a round-the-world trip; and for others (e.g. specifically my parents) it is a new fireplace and buying the local football club. Camelot cleverly allay "the fear" that you might have forgotten to put those "lucky" numbers on by highlighting how you can now play Lotto on your mobile. Now I just need to wait for those numbers to come in so I can finally fulfil my childhood dream of living like Richie Rich!